CHICAGO – The Public Library Association (PLA) has just announced a new contest for two library professionals to win their way to the PLA 2014 Conference, March 11-15, in Indianapolis. The contest requires participants to submit a 60-second (or less) video telling PLA why they want to attend PLA 2014. Two winners will receive a free registration, four nights hotel, and up to $500 reimbursement for travel to and from the conference. CHICAGO — The Public Library Association (PLA) award nomination deadline is Dec. 2, 2013. There are nine awards/grants to choose from that highlight the best in public library service and honor those bringing innovation, creativity and dedication to public libraries. Many of the awards include an honorarium provided through the generosity of our sponsors. Please visit the website for details on each award and nominate yourself, your colleague or library. CHICAGO — Public libraries nationwide are encouraged to participate in the Digital Inclusion Survey. There is still time to take the survey, with the extension of the participation deadline to Nov. 22. CHICAGO — The speaker slate is full to the brim for the Public Library Association (PLA) 2014 Conference, March 11-15, in Indianapolis. From motivators, to informers, to entertainers, to authors, there’s somebody to please everybody on the agenda. 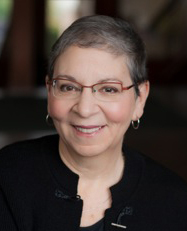 CHICAGO — At 1 p.m. Central time on Nov. 20, the Public Library Association (PLA) will host the fourth annual "Books That Make Great Gifts with Nancy Pearl," exclusively for PLA members. This free webinar features readers’ advisory ideas members can use for themselves, share with their patrons or both. CHICAGO – Staff are the cornerstone of any successful library. Learn how to maximize this incredible resource with the upcoming webinar, “Creating Engaged and Motivated Staff: From Expectations to Excellence,” presented by the Public Library Association at 1:00 p.m. Central time on December 11. CHICAGO — When it comes to teaching children how to read, both libraries and schools are crucial educators. What happens when you combine the literacy power of libraries and schools? Find out during the one-hour webinar, “Partners in Literacy: How Schools and Public Libraries Can Work Together” hosted by the Public Library Association (PLA) at 1 p.m. Central time on Dec. 4. CHICAGO — The Public Library Association (PLA) has awarded 10 2014 Spectrum Scholar/PLA Conference Travel Grants to Spectrum Scholars LaToya Devezin, Claudia Flores, Gloria Jertberg, William Langston, Sarah Hashemi Scott, Eimmy Solis, Victoria Thomas, Jade Valenzuela, Marco Veyna-Reyes and Sophie Young. CHICAGO – The Association for Library Service to Children (ALSC) and the Public Library Association (PLA), both divisions of the American Library Association, have received a three-year National Leadership Project Grant from the Institute of Museum and Library Services (IMLS). CHICAGO – On Oct. 28, the interactive online course, “The Accidental Public Library Technology Trainer,” returns. The deadline to register is Oct. 25. This four-week (Oct. 28-Nov. 22) blended-learning program presented by the Public Library Association (PLA) is designed for public library professionals who have unexpectedly found themselves responsible for technology training of users or staff at their library.